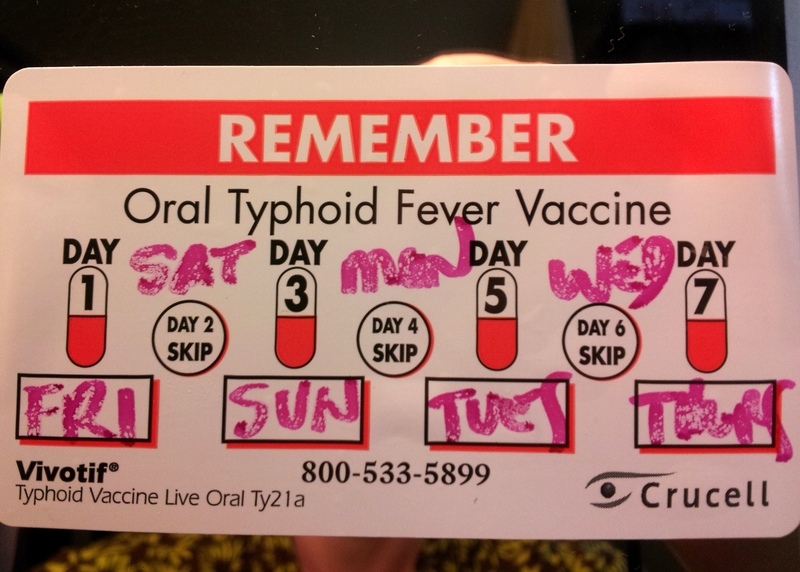 this is a serious upgrade from five years ago when i last took the oral typhoid vaccine. 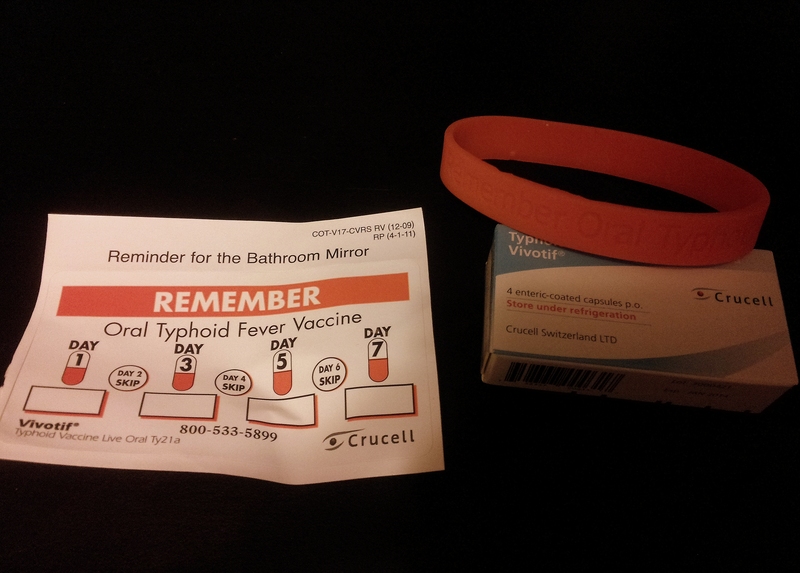 my 7-day, 4-pill course of medicine came equipped with a check-off timeline printed on a bathroom mirror sticker and a livestrong/wriststrong–esque reminder bracelet. color me impressed, as well as 25% of the way to being re-vaccinated.